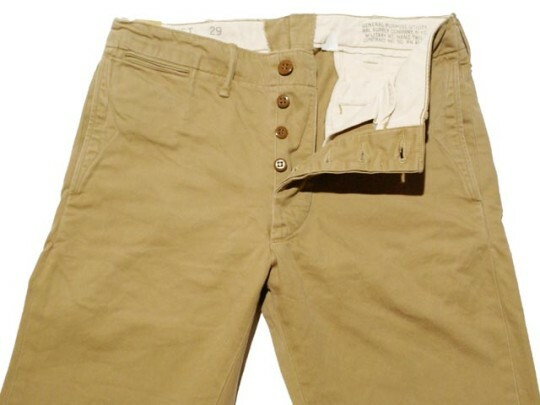 If you missed it, tintin recently got to sit down with G. Bruce Boyer and Robert Bryan to judge a selection of chinos from a few different companies including LL Bean, Bills Khakis, Brooks Brothers, and J.Press. I was surprised to learn that Martin Greenfield offers a MTM service for chinos, but while I share tintin’s disdain for Band of Outsiders, the fit between those $550 chinos that he brings up and the $275 chinos are probably significantly different. A pair of chinos from Bills Khakis are rated best overall and I’m now currently thinking about ordering a pair of the M3’s to try out. Interestingly, Boyer and Bryan both picked out pairs of chinos from LINCS (a brand I’m unfamiliar with) as the best based on quality, simplicity, and selvage fabric. 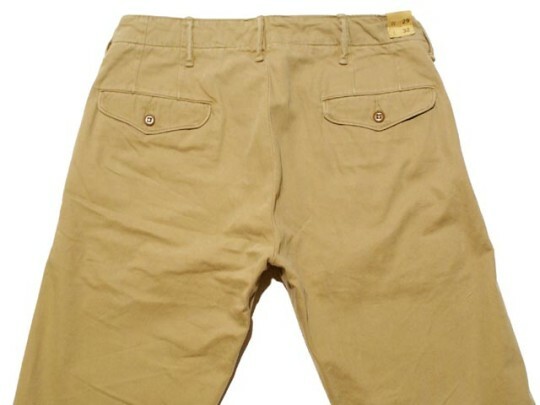 Personally when I’m looking for chinos for myself, the main two qualities that I care about are fit and fabric. Though nice to have, details such as pocket flaps or button flys are unimportant, and authenticity even less. Just give me simple, slim, and sturdy chinos. That’s it. The best I’ve ever tried on that met this criteria was a pair from RRL; I passed on these however, as they came with the usual RRL price tag (which was somewhere north of $300).